Why did I get a reckless driving ticket for a single-vehicle accident? A lot of people get into a single–vehicle accident where their vehicle is the only one affected and they end up walking away with a reckless driving ticket. Why does that happen? Honestly, part of the reason is because of Virginia law. When an officer comes upon an accident and there is any kind of damage even if it’s just to the driver’s vehicle, the officer in a lot of cases is almost duty–bound by their department to write some kind of charge against the driver. 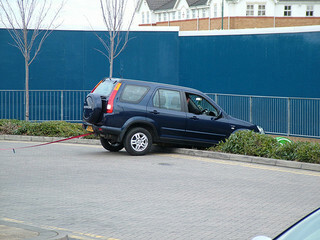 And under Virginia law there is simply not many possibilities that fit a single–vehicle accident situation. But the problem is that again the officer doesn’t really have a choice. The law lets the judge or the prosecuting attorney reduce the case to improper driving where the culpability is minimal. But when it’s a single–vehicle accident and really no other charge fits, the trooper pretty much has to write a reckless driving ticket. That’s why you may be in a single–vehicle accident thinking, “oh it’s just going to mess up my insurance,” and you might end the day with a reckless driving ticket. 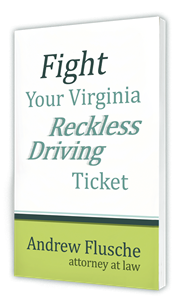 If that happens there are lots of possibilities in court to defend the charge, but it’s sort of an unfortunate fact about the way Virginia laws work and the way some departments have policies about writing tickets even in a single–vehicle accident situations.